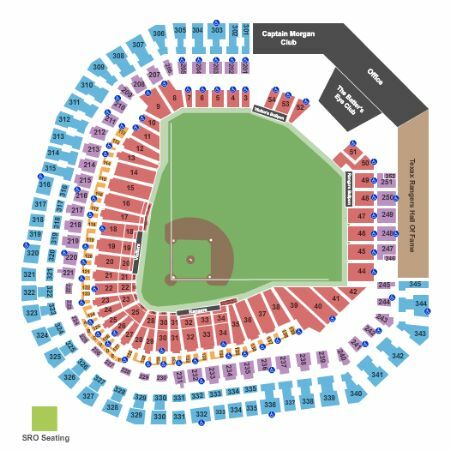 Texas Rangers vs. Chicago White Sox Tickets - 6/21/2019 - Globe Life Park in Arlington at Stub.com! XFER Mobile Entry. Scan your tickets from your mobile phone for this event. Tickets will be ready for delivery by Jun 14, 2019. These seats are on the aisle with purchase of the entire group. Tickets will be ready for delivery by Jun 19, 2019. Third row in this section. Tickets will be ready for delivery by Jun 19, 2019. Mobile Entry Tickets. Must have smart device on hand to enter event. Tickets will be ready for delivery by Jun 17, 2019. Aisle Seats. Tickets will be ready for delivery by Jun 17, 2019. Second row in this section. Tickets will be ready for delivery by Jun 19, 2019. First row in this section. Tickets will be ready for delivery by Jun 19, 2019. Fourth row in this section. Tickets will be ready for delivery by Jun 19, 2019. Fifth row in this section. Tickets will be ready for delivery by Jun 19, 2019. Mobile Entry Tickets. Must have smart device on hand to enter event. Do not print these tickets. Tickets will be ready for delivery by Jun 14, 2019. Second row in this section. Tickets will be ready for delivery by Jun 14, 2019. These tickets are an Obstructed View and your view of the action and the stage/set/field will occasionally be blocked. Tickets will be ready for delivery by Jun 19, 2019. Does not include admission to event. Tickets will be ready for delivery by Jun 20, 2019. Last row in this section. Tickets will be ready for delivery by Jun 19, 2019. Rangers Pregame Experience Package includes a Lower Infield game ticket in sections 18 thru 34 (orders of three or more may be split) | Pregame Experience featuring a mini tour of the ballpark followed by access to watch team warm-ups and batting practice from the Commissioners Box (weather permitting) | $25 food/beverage credit included with each ticket | Collectible Texas Rangers memorabilia item (1 per person) | Parking pass (1 per order) | Ticket upgrades available upon request |.